For many centuries Lochaber was considered an epicentre of disorder and disloyalty in the Scottish Highlands. It's unsurprising that it was viewed as the very heartland of the Jacobites and the threat they posed to both monarchy and government. Join a local guide to walk in the footsteps of Bonnie Prince Charlie and the Jacobites whilst discovering the places and stories linked to their campaign to seize the British Crown. Finish: Flexible - in plenty of time before ship departure. Transport: Pick up from the cruise ship pontoon at Fort William in a 9-seater MPV suitable for up to 8 passengers). 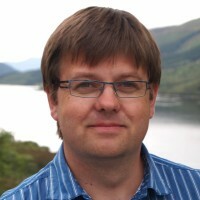 Your professional guide will welcome you to Fort William and the historic district of Lochaber. 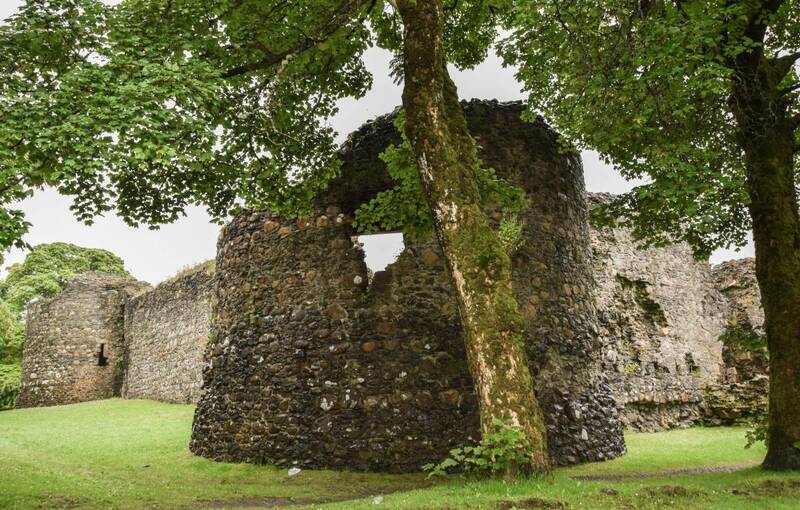 On the outskirts of the town, you visit the ruins of the 13th-century stronghold of Inverlochy Castle with the mighty Ben Nevis (Britain's highest mountain) towering behind the castle. Driving along the "Road to the Isles" you pass over the Caledonian Canal pausing to take a look at Neptune's Staircase, a flight of seven canal locks, and an impressive feat of engineering from the early 1800s. 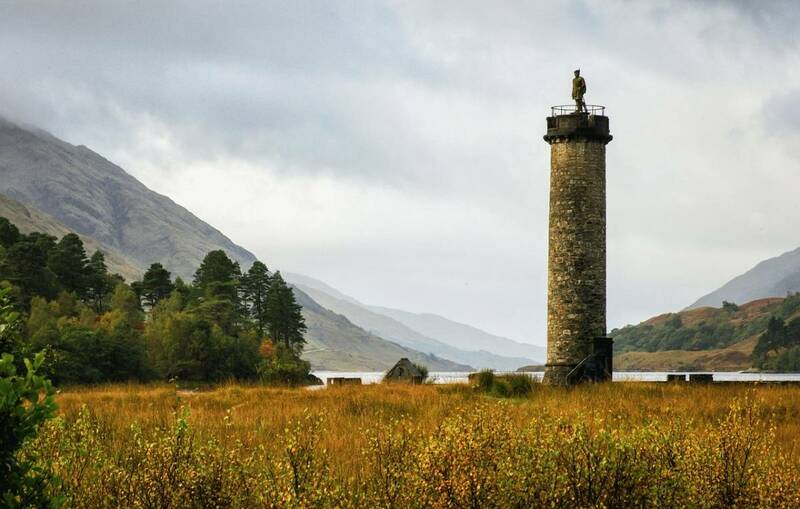 Travelling through impressive mountain scenery you arrive at Glenfinnan where the Highland clans gathered to support Bonnie Prince Charlie as he prepared to take on the British Army in an effort to restore his family to the throne. 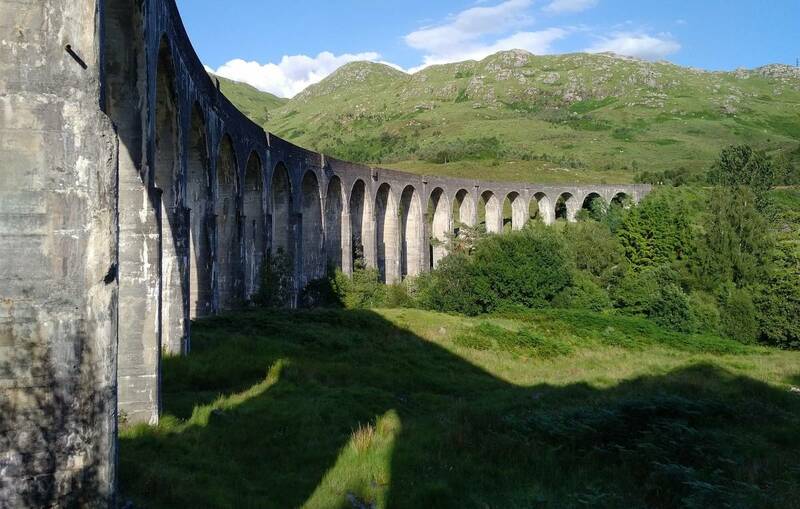 The Glenfinnan Memorial sits at the head of scenic Loch Shiel and you can also see the rail viaduct made famous as the "Harry Potter Bridge" in the movies. Heading deep into Cameron country, some of the strongest supporters of the Jacobite cause, you see the home of the Clan Chief, and visit the small Clan Museum full of interesting memorabilia including items belonging to Bonnie Prince Charlie. 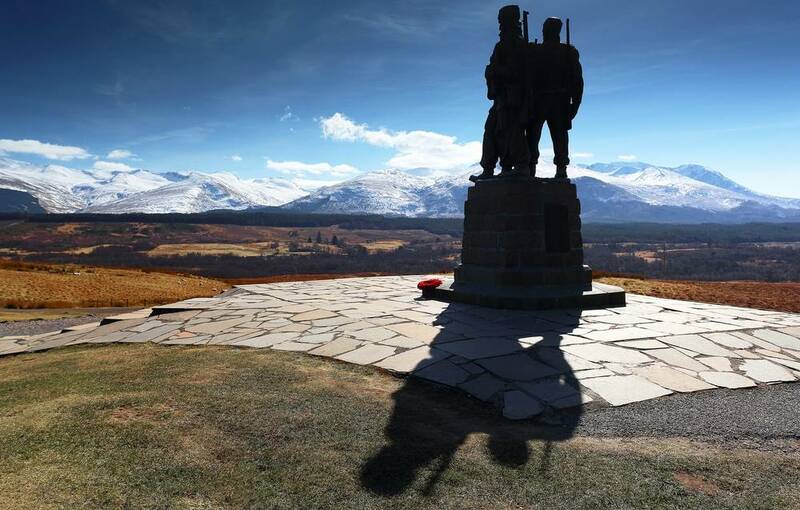 You'll discover why this area played an important role in World War Two before stopping at the Commando Memorial set among outstanding mountain terrain. 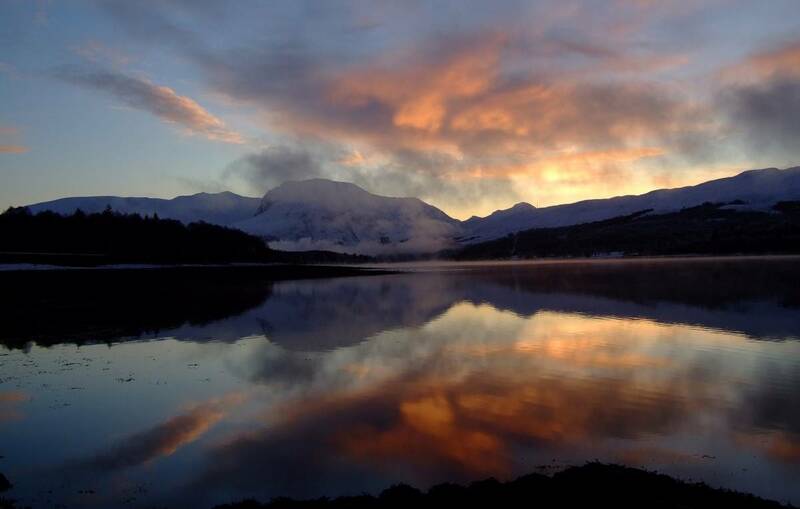 A short drive back to Fort William gives you time to ask about life in the Highlands, before returning to your ship.